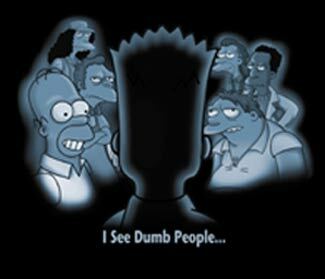 Another very popular Simpson's parody shirt. Bart looking out at 6 Simpson's characters. Caption in white under the image reads - I See Dumb People. Printed on black, 100% cotton adult size tee. Only adult size small left in stock.